Apply to access the server during the current Beta phase. Most of the basic things on the server are finished, so you can now apply to be on the whitelist. The server will remain whitelisted while I finish the permissions off and get something worked out as far as protections go. And any other reasons why you would like to be on the whitelist, and if you want post some info about what you did/who you were on the old server. PLEASE don't apply for ranks, or ask for your old rank back. 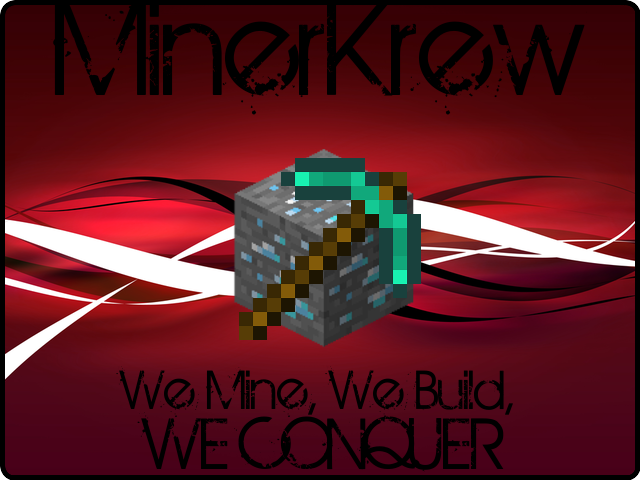 I am leader of the clan MinerKrew originally founded by Gerald not sure if you remember him or me or any former members but I'm planning to get the whole clan back just for kaisecraft v2. Am just really stoked to see your Server, also I was a squire that won the rank. I don't think kaise added that. Well just to make sure. I little help can go a long way. Was a knight and served close to 4 months as protector (ScS_Secret) on the old server. Friends with former sr.mod MichaelBuble. This is my second account i'm trying to get whitelisted. Other account dabeast100. First lot of accepted requests. Do ANYTHING wrong and you will be removed from the whitelist immediately. If anything strange occurs, post it. Okay, first of all, I would just like to say that...WOW Kaise is BACK with a BANG! I'm so happy you're hosting a Server again, and I hope this one will be much more fantastic as the last one. I'm getting really hyped up about this! I am a person. I like to live. I was that guy who did stuff and other stuff with the stuff.